Southern Utah Museum of Art is excited to announce our new director/curator, Jessica Farling, coming to Cedar City on July 1, 2017. She received her Master of Arts in Museum Studies from the University of Oklahoma. She focused her studies on museum administration and museum education. 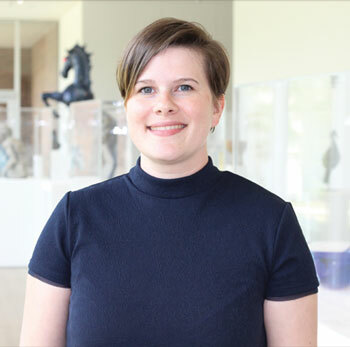 Farling began her career at the Fred Jones Jr. Museum of Art, located at the University of Oklahoma, as a student employee working part-time in education. She became a full-time museum educator and eventually took a position as the Director of Public Engagement. Through these various roles, she has over seven years of experience in a number of areas and has gained a better understanding of general museum operations.